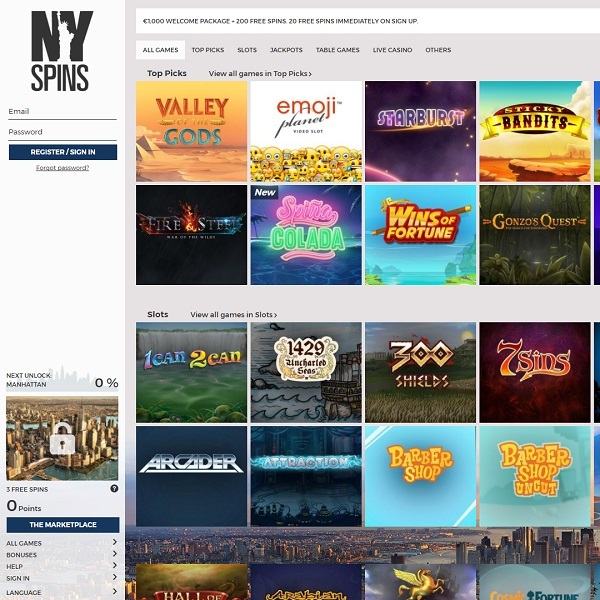 Head out to the streets of New York and enjoy some top quality gaming at the brand new NY Spins Casino. The themed casino hosts games from developers such as Net Entertainment, Yggdrasil Gaming, Quickspin and more. It invites you to complete a number of challenges and unlock new rewards at each level. The games on offer include hundreds of slots, many progressive jackpot games, all the standard card and table games, live dealer games, scratch cards and video poker. New members can enjoy a welcome package worth up to €1,000 with 200 free spins. The package is split into four deposit bonus and 20 of the free spins are awarded as soon as you sign up. There are then many other bonuses to take advantage of. The casino has been licensed in Malta and offers customer support via live chat.